While exploring the Mount Goliath Area of Mount Evans Wilderness, I observed mountain bluebirds dropping from a nest site to catch insects. They would pause on a bristlecone pine snag before returning to the nest. This male was a particularly prolific hunter, catching a bug every few minutes. 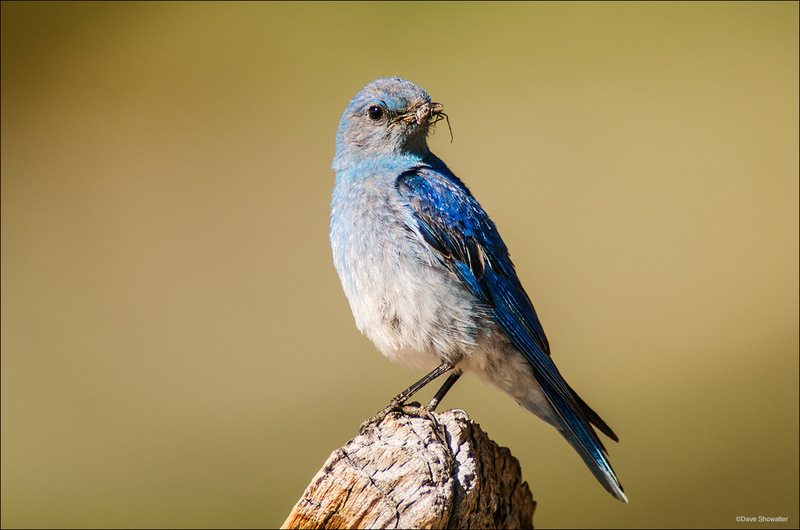 Mountain bluebirds migrate through the Colorado shortgrass prairie in early spring, then spend time in sagebrush, where some build nests in cottonwood cavities. Others, like this male and his mate, travel as high as timberline for breeding season. Photo © copyright by Dave Showalter.